Mr. Kimin Kim's work solving the notoriously difficult problem of synchronisation in multi-static active sensing using only local processing at the receiver is accepted for the IEEE ICASSP 2018, in Calgary, Canada. Our industrial collaboration with Cubica Technology demonstrating scalable network self-calibration on a SAPIENT fusion network is accepted for SPIE Defence+Security 2018, in Orlando, FL, USA. Our work on pseudo-likelihoods for intractable estimation problems in multi-sensor state space models is now accepted for publication in IEEE Transactions on Signal and Information Processing over Networks. This work has a similar perspective to but differs substantially from our previous work (open access here) in the multi-object state space model used, and, the pseudo-likelihood itself. I have submitted an article proposing cardinality consistent multi-sensor fusion of random finite set trackers for publication in IEEE Transactions on Aerospace and Electronic Systems. My UDRC Summer School 2017 slide+handouts on optimal and adaptive filtering of stochastic proceeses are here. Mr. Kimin Kim's work on coherent detection of small and manoeuvring objects using simultaneous trajectory estimation is now submitted to IEEE Transactions on Aerospace and Electronic Systems. Preliminary results appeared in the IEEE Radar Conference 2017, in Seattle, WA USA. I visited the brilliant Sensor Informatics and Biomedical Technology Lab. directed by Prof. Simo Sarkka, at Aalto University, in the greater Helsinki region in Finland. Interesting research on probabilistic models and statistical processing methodology for spatio-temporal data and applications, and, great hospitality. Highly recommended for those interested in the field. 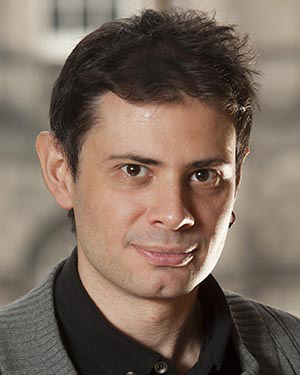 Murat Üney is a Research Fellow at the University of Edinburgh, School of Engineering, Edinburgh, Scotland, UK. His research interest are statistical inference, signal processing and information fusion with a tendency towards "Bayesian" paradigms including variational methods, probabilistic graphical models and message passing algorithms, dynamic system models, population processes (e.g. Random finite sets) and machine learning (predominantly from a statistical perspective). More details on his research can be found in here. Publications can be found in here He is currently supported by the UDRC research programme. Prior to joining the University of Edinburgh, he was a Research Associate at Heriot-Watt University, Institute of Sensors, Signals and Systems, Edinburgh, Scotland, UK working with Dr. Daniel E. Clark and Dr. Simon J. Julier of University College London. Between 02/2007-04/2010, he was a (student) researcher at the Signal Processing and Information Systems Laboratory(which was then a part of the Computer Vision and Pattern Analysis Lab. ), of Sabancı University under supervision of Dr. Müjdat Çetin. He completed his Ph.D. studies in signal processing and control at Middle East Technical University Dept. of Electrical and Electronics Engineering with Prof. Dr. Kemal Leblebicioğlu and Dr. Müjdat Çetin.